Bedeschi S.p.a. has signed another supply contract with a new client: the well-known Bricks Producer Sarl Djedei, which is based in Touggourt (Algeria). The supply contract consists of the installation of a new reclaimer, the BEL F 100/13, complete with belt conveyors as a means of transporting the bulk material to the silos. 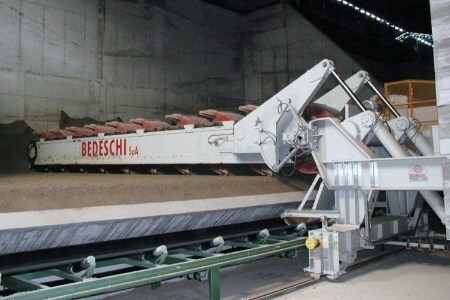 The machine will be used to reclaim the clay and to feed three production lines.